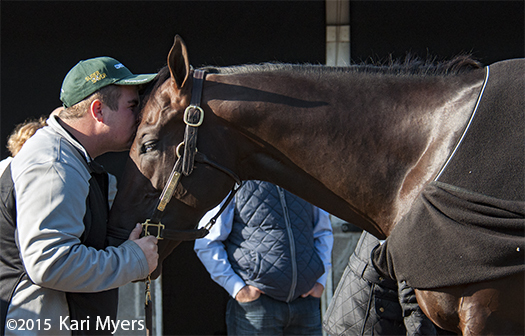 Apr 29, 2015: Competitive Edge gets some love while having his feet worked on one morning at Churchill Downs. Grade 1 winner Competitive Edge, a speedy colt from Super Saver’s first crop, is now retired to stud at Ashford near Versailles, KY. Back in May 2015, he won the Pat Day Mile at Churchill Downs on the Kentucky Derby undercard, so these are a few photos from that week. 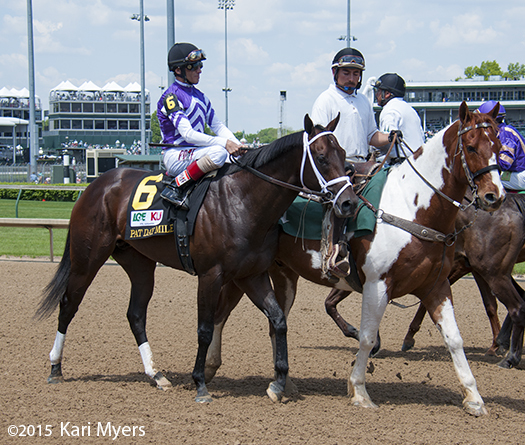 May 2, 2015: Competitive Edge in the post parade for the Pat Day Mile at Churchill Downs. 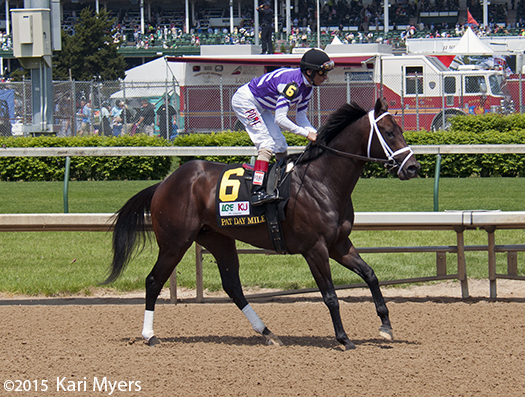 May 2, 2015: Competitive Edge warms up for the Pat Day Mile at Churchill Downs. 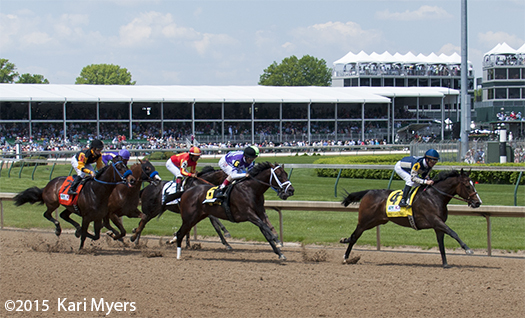 May 2, 2015: The field heads down the backstretch in the Pat Day Mile.